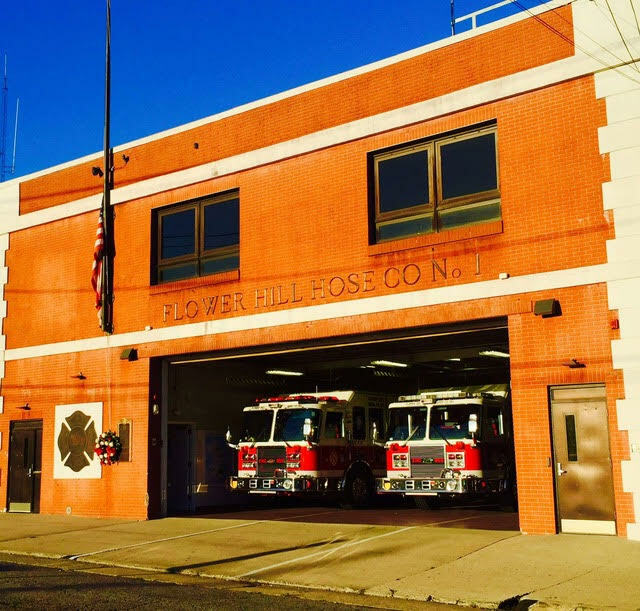 Flower Hill Hose Company #1 is located across from the LIRR station on Haven Ave. and operates with 2 pumpers. The arrival of the LIRR to Port Washington in 1898 shifted the town’s population and caused a building boom. Realizing the need for an additional fire company Frederick J. Snow along with other citizens organized Flower Hill Hose Co #1 on February 23, 1905. Frederick J. Snow, a retired Brooklyn Fire Dept. 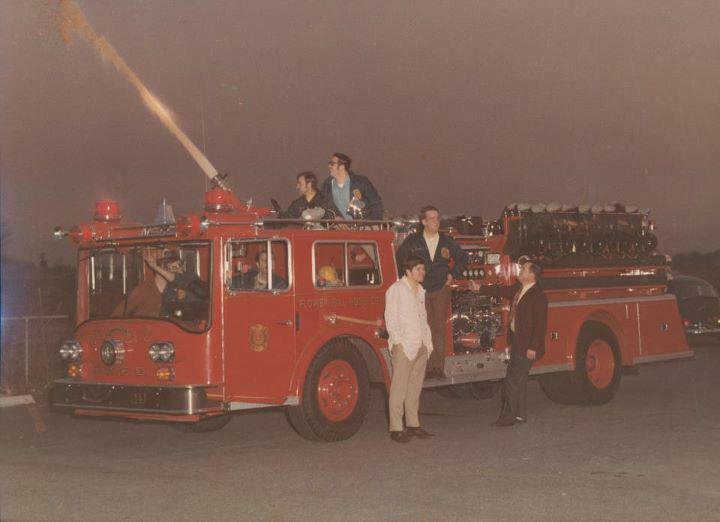 Chief, went on to become Flower Hill’s first Captain and the PWFD’s first Chief of Department. Engine 856 responds from Flower Hill and Engine 855 responds from Atlantic Hook & Ladder Co #1s Main House. In addition to 856 Flower Hill Hose Company #1’s firehouse stores three water rescue boats and 8525, a fire-police unit. 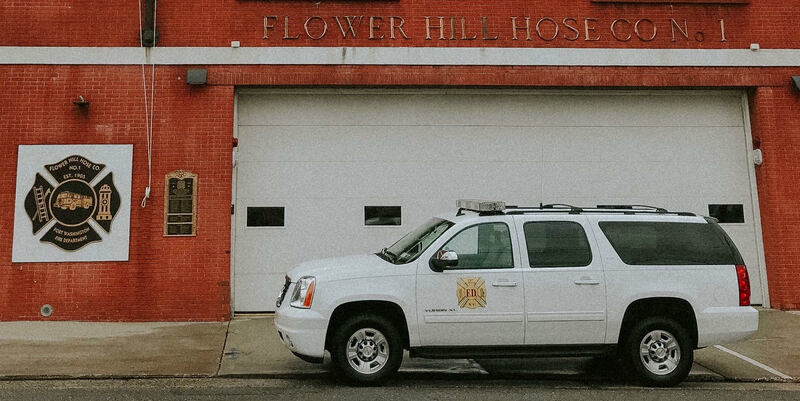 Both of Flower Hill Hose Company #1’s pumpers and Protection’s pumpers have the capability of utilizing “foam”, a process where water and a foam agent are mixed by the pumper when required for situations and conditions were the application of water is not suitable. 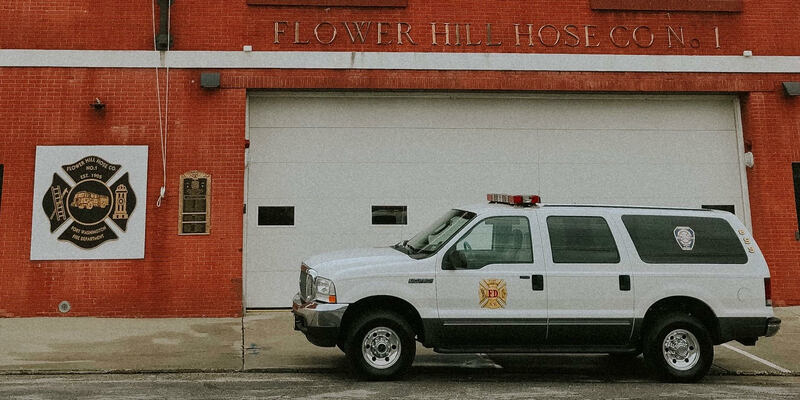 Each of Protection and Flower Hill’s trucks carry some 3000 feet of hoseline ranging in diameter from 1″ (“booster lines”) to 4″ (“supply lines”). At the scene of a fire, Protection and Flower Hill work as a team to provide the necessary agents for fire suppression. Effective fire suppression comes about as the result of successful coordination of the various companies operations. Flower Hill Firefighters and Engine 856 during December 2010’s massive snowstorm.